The State Agency for e-Governance of Ukraine, e-Governance Academy and ten municipalities signed the partnership agreement to start implementation of the modern information system “Vulyk” for Administrative Services Centers (ASCs) in Ukraine. The agreement of piloting the information system was signed by Oleksіi Vyskub, the Deputy Director of State Agency for e-Governance, Mari Pedak, the EGOV4UKRAINE Project Team Leader and by the high-level representatives of cities Ukrainka, Rzhyshchiv, Obukhiv, Pereyaslav-Khmelnitsky, Kamyanets-Podilsky, Kakhovka, Nova Kakhovka, Yuzhne, Olevsk, and Chortkiv. The parties agreed to cooperate to improve the quality of administrative services provided through ASCs; ensure the advanced working environment for ASCs administrators; make work processes of ASCs administrators faster and more efficient through electronic document management and access to data in state registries; raise awareness on public service provision. According to Oleksii Vyskub, Ukraine prioritizes the introduction of online services that provide the opportunity to use public services 24/7 from any place. “Currently, there are about 700 ASCs operating in Ukraine, and almost 85% of them do not have information management systems for services provision. Therefore, we initiated the development and piloting of the modern information system to provide unified high work standards for ASCs, “ said Vyskub. “The information system Vulyk brings ACS into digital era. It speeds up the provision of administrative services to citizens tenfold by allowing to access public registries and online data exchange via the “Trembita” system,” EGOV4UKRAINE Project Leader Mari Pedak said. The information system named Vulyk will be installed in ten pilot ASCs by October 2018 and will be launched in 600 ASCs across Ukraine by the end of the year 2020. The EGOV4UKRAINE project (“Support for E-Governance Decentralization in Ukraine”) is part of the Ukrainian decentralization support programme U-LEAD with Europe, which runs from 2016 until 2020. It is financed by the EU and its member states Denmark, Estonia, Germany, Poland and Sweden. The amount of assistance is EUR 102 million. 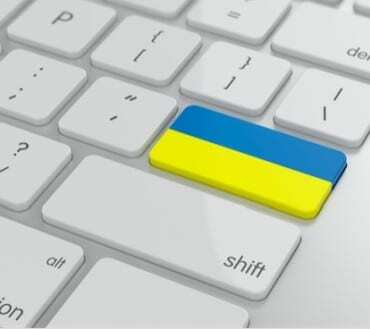 EGOV4UKRAINE aims to improve the public service provision in Ukrainian local governments by developing and launching the data exchange system Trembita and the information system Vulyk for ASCs. By the end of the project, ASCs are expected to be able to provide altogether hundreds of administrative services in the centers, also there will be services available online.